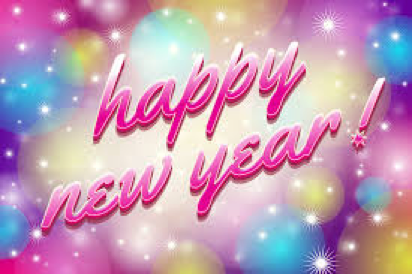 Happy New Year to all of our clients and colleagues! We wish you all a prosperous, joyful 2019! At the beginning of each year, we try to look up from our law books and take a broader view of the affordable housing industry – take its pulse, as it were – so that we can better advise our clients as we embark on another exciting year. Here are a few predictions and suggestions for the new year. Affordable Housing Shortage Persists. According to the National Low Income Housing Coalition, there remains a shortage of affordable housing in every state of the union. The states in which that shortage is the most pronounced include Washington, Oregon, California, Nevada, Arizona, Colorado, Texas, Wisconsin, Florida, Delaware, New Jersey, and New Hampshire. LIHTC Program Remains Active for 2019. Although the tax reform bill adopted in 2017 caused a drop in pricing for low-income housing tax credits (LIHTCs), the industry has stabilized and continues to remain active for 2019. Moreover, hybrid structures that combine 4% credits with 9% credits are becoming increasingly popular. GSEs and HUD Remain Engaged. The Government-Sponsored Enterprises (GSEs), with HUD’s support, continue to provide attractive financing vehicles for affordable housing projects. Freddie Mac’s recently implemented mezzanine loan program for affordable and workforce housing has been warmly received. And Fannie Mae’s mortgage-backed security as tax exempt bond collateral (M.TEB) program has yielded borrowing costs lower than long-term financing provided by banks. Rising Interest Rates. LIHTCs provide developers with crucial equity to build or rehab affordable housing developments. Nevertheless, most projects still require a component of debt. During the prior 12 months, the 10-year Treasury rate increased from 2.32% to 3.22% and is expected by many forecasters to continue to increase, signaling more expensive debt for housing developers. Some remedies include early budgeting for potential financing gaps and, if available, early rate locks. Yes, construction costs are rising. Prudent budgeting and early rate locks remain key. Plan ahead! Budget for funding gaps due to rising interest rates and construction costs. Seek early rate locks for GSE/LIHTC funding packages to offset those funding gaps. Attend Qualified Allocation Plan (QAP) sessions in your states to keep abreast of the criteria required for your project and financing plans. Monitor GSEs for new programs. Don’t be afraid to mix and match 4% credits and 9% credits with public and private debt. The watchword for structuring your financings: creativity. Contact DPK with questions, concerns, or just to grab some coffee.